It’s interesting that in the year 2009 they are just breaking a racial barrier in a law enforcement post. 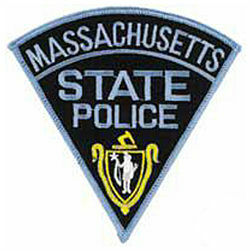 BOSTON — A 30-year veteran of the State Police who has spent much of his career in investigative units could be named the next US marshal for the District of Massachusetts, and would be the first African-American to hold the post. Detective Lieutenant John Gibbons was nominated by US Senators Edward M. Kennedy and John F. Kerry to become the first permanent marshal the district has had since 2005. President Obama must send the nomination to the Senate Judiciary Committee for confirmation, but historically, a state’s senior senator makes the nomination. Posted: 7/29/09 at 7:05 AM under News Story.